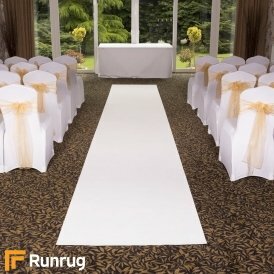 Make an entrance to remember on your big day with a polypropylene wedding aisle runner. Crafted from smooth, elegant fabrics and finished to perfection, a wedding runner from our carpet runners range will perfectly match the splendour of your wedding or special event. 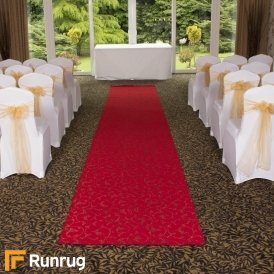 Choose from a extensive range of colours and patterns, from elegant cream and pure wedding white to Hollywood-worthy red aisle carpets and sparkly glitz carpets; there’s a wedding aisle runner in our collection to suit every theme and colour scheme. 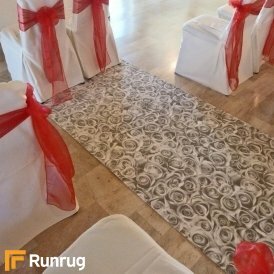 Available to order in absolutely any length, you can find the perfect wedding runner to fit your venue no matter how big or small. 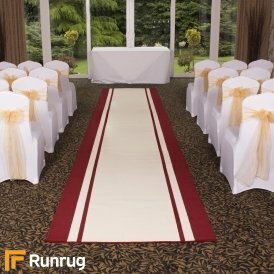 Make an entrance to remember on your big day with a wedding aisle runner from our latest collection here at Carpet Runners. Crafted from smooth, elegant fabrics and finished to perfection, a wedding runner from our range will perfectly match the splendour of your wedding or special event. 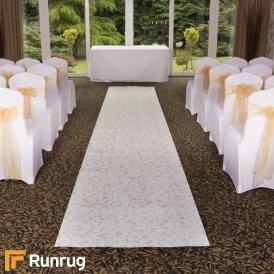 Choose from a extensive range of colours and patterns, from elegant cream and pure wedding white to Hollywood-worthy red carpets and sparkly glitz carpets; there’s a wedding aisle runner in our collection to suit every theme and colour scheme. Available to order in absolutely any length, you can find the perfect wedding runner to fit your venue no matter how big or small. 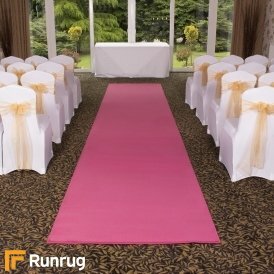 If you are getting married or planning an event, you are sure to find the perfect runner available in the wedding and event runners section at CarpetRunners.com today. 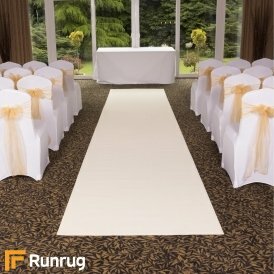 There are a number of designs on offer, all of which are available to purchase at a length to suit you. 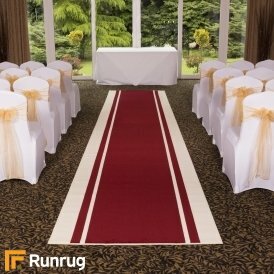 Make sure to browse through our hallway runners available too. 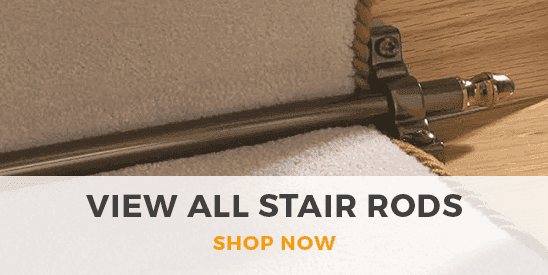 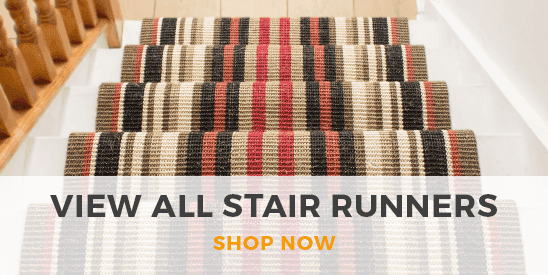 These are the perfect accessory to place in the hall of your home and there is everything from traditional to striped hallway runners on offer. 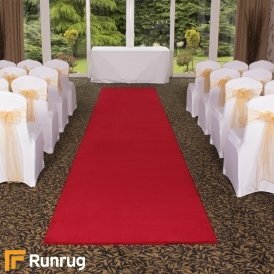 Carpet Runners not only provide runners for within the home but also for your special events too. 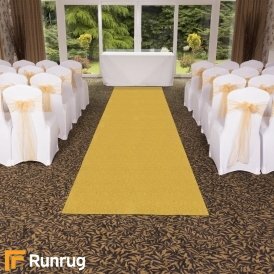 If you are busy planning your wedding you will need to have the perfect aisle to walk down which is where we come in handy. 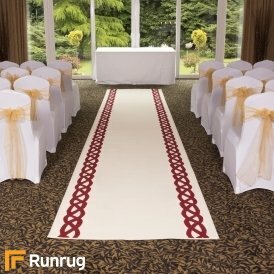 There are a wide range of patterns and colors to choose from including classic white and cream designs that would fit right into a classy wedding setting. 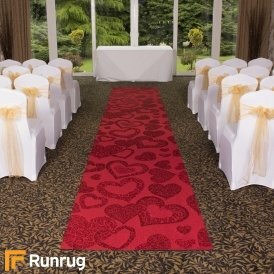 As well as white, we have a more unconventional selection in red, black and pink which would make the perfect event runner. 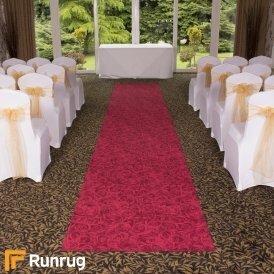 From hearts to roses to ropes, there are stylish choices that will match the décor of the room. 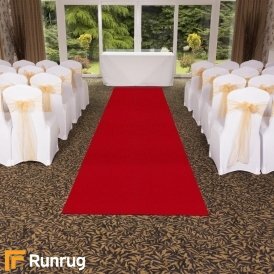 You are able to choose the length of the event and wedding runners to ensure that it fits perfectly into your venue so will be customized and finished off by our professionals for a quality finish.